A small feat. A challenge only realized privately. No one has to know. Chances are no one except very few would appreciate. All the same, I managed it. Without forethought. Without fear. Accomplishment? Maybe not. Yet maybe. The words echo in my brain. Thank you Francois Rabelais via John Green [a quote within a quote in Looking for Alaska]. I am a Westerner at heart. I was born in the West. Grew up in the West. I often long for wide open spaces and people who don’t crowd. Independence. Friendly, yet capable of acting alone. I believe the West was populated [originally – not the recent Phoenix transplants] by those who sought a great perhaps. A goal. Something to reach for, yet incomprehensible until seen for oneself. Who can fathom the Rocky Mountains without actually seeing them? The Grand Canyon? Vast deserts and Yellowstone? Think of Ansel Adams and his photographs. Then imagine actually being in those places, seeing them in living color. I imagine people sought westward expansion because the thought of seeing those things drove them. The thought of unexplored miles and miles called. A new place. Openness. A place where you can make the rules. Where you can claim your territory. My mother married my father, hopped in a car, and headed for Arizona, sight unseen. 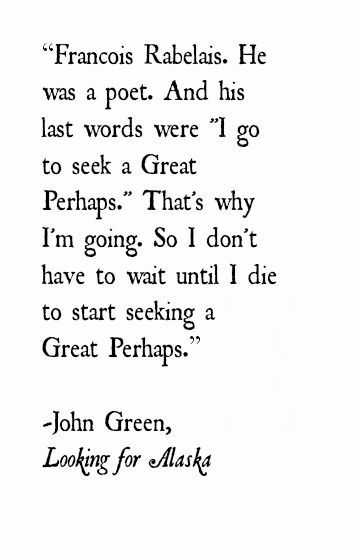 I have to believe she, in her own way, was seeking a great perhaps. Just like my family members who once upon a time decided to settle in the land of the cowboys and Indians, pre-statehood. So it’s in my blood. Maybe today held a “‘go west” moment. 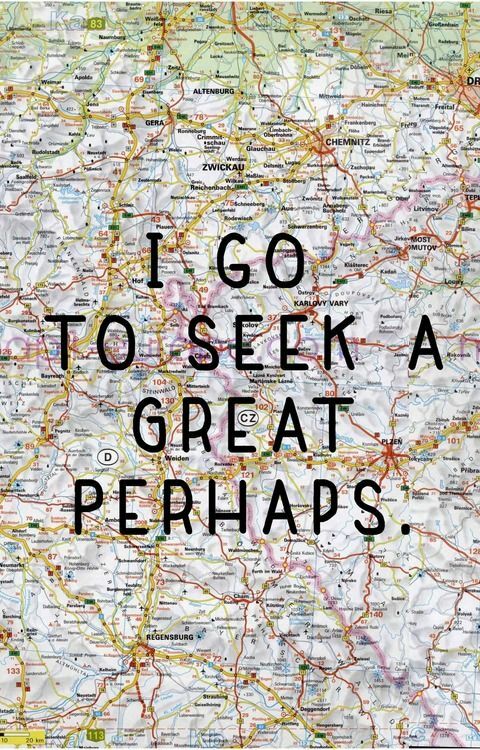 The beginning of seeking the great perhaps? I force myself to believe it was indeed.